Do you know my friend Becky over at Kid World Citizen? She has the most wonderful blog full of information for parents raising global citizens. And in addition to her quality blog content, she also creates materials for download that she shares in her TpT shop. The unit starts out with a description of the holiday and the various elements associated with it. She's included a lot of hands-on activities such as a painted paper skull and Day of the Dead Printmaking Project (super fun! 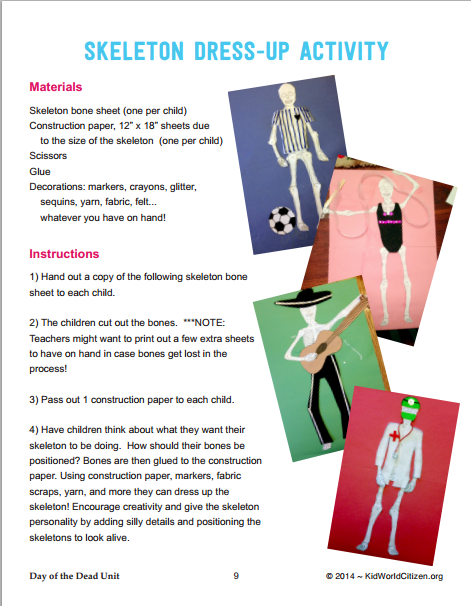 ), but perhaps my favorite is the Skeleton Dress-Up Activity! It makes me think of the book Calavera Abecedario by Jeanette Winter. 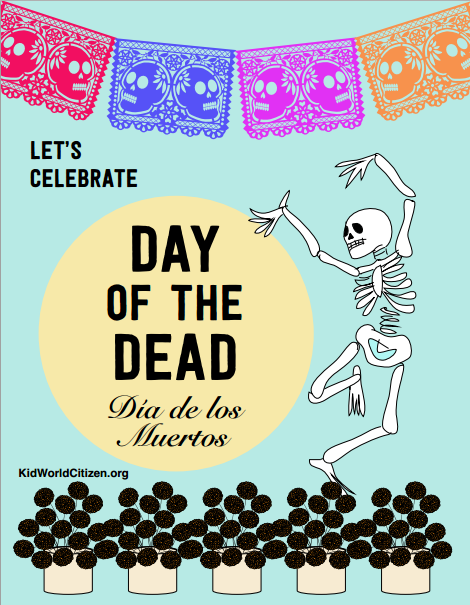 You'll also find a printable Day of the Dead banner you can cut out and string together to make your room more festive. Becky has included lots of coloring pages, too, and a bilingual minibook with reading comprehension questions for older kids and handwriting pages for younger children.. 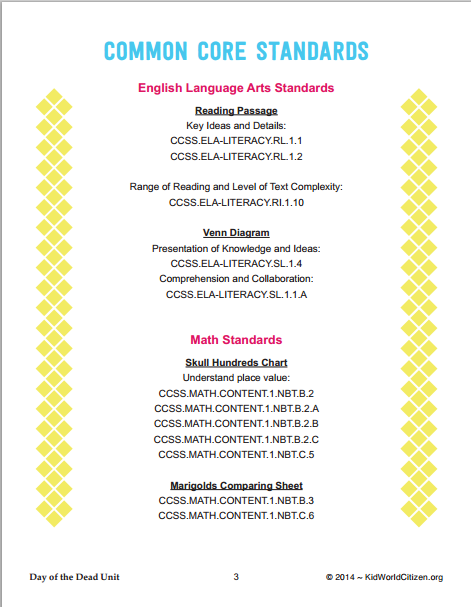 If you're a teacher, you may be interested to know that the unit is Common Core aligned, so if you are required to teach to CCSS but want to think outside the box a little, this is a great resource. Becky has graciously offered a copy of this Day of the Dead Unit to one MommyMaestra reader.